Competitive, Family Friendly Races All Year Long In Minnesota! The Monster Race Series wants you to have fun, stay fit, and get cool gear all year long! Visit the race pages to check out gear, and see our Registration Page to learn about bonuses for the series. Need to change anything on your race registration?? Click here to see our changes and policies links. Tiki Run Is Back, Sun June 16th! Tiki Registration is open! Start Father's Day with the whole family, distances for everyone. 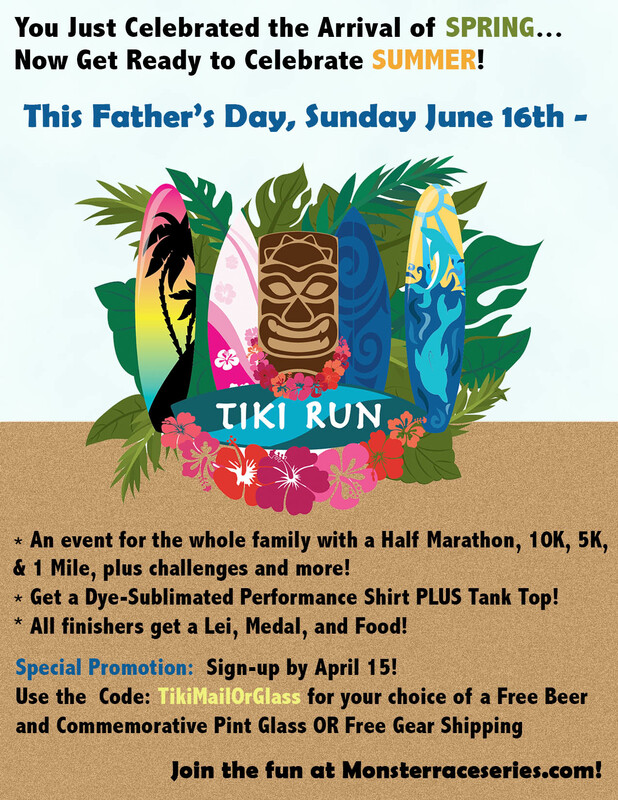 Register with code "TikiMailOrGlass' by April 15th for Dad (or Mom, or anyone) to get a free beer or gear shipping! Check out our "Race to 2020" Campaign to win special gear and prizes while getting healthy and competing! We're moving to 5 year age groups this year + adding more for the kids! Head to the Results + Photos page to check out some of our 2018 award winners, split out to the new age groups.